Electric co-ops have long had a special affinity for veterans. Perhaps because they are both so closely aligned in outlook, focusing on service, mission and country. Maybe it’s because a disproportionate number of veterans come from rural communities and return to their hometowns following active duty. Or, maybe it’s due to the shared work ethic of teamwork, cooperation and a “get it done” attitude. Most likely, it is all of the above. Tennessee’s 24 electric co-ops are among the more than 900 electric co-ops across the country to support and honor our nation’s veterans of all generations. We are grateful to have veterans within our ranks, and we are proud to serve veterans and their families within our local community. In addition to providing safe, reliable and affordable electricity, we care for the veteran community in a variety of ways. We are not alone in our efforts to honor and serve veterans. As part of our national network of electric cooperatives, spanning 47 states and covering 75 percent of the nation’s landmass, there are countless programs that our family of co-ops has initiated. At the national level, we support the “Serve our Co-ops; Serve Our Country” program, a nationwide initiative aimed at employing and honoring veterans, military service members and their spouses. This program came with a great vision of forming a national coalition with the shared goal of hiring veterans into co-op jobs across rural and suburban America and setting them up for success in their local communities. As part of a co-op veteran outreach effort, America’s electric cooperatives are working closely with federal partners, including the Department of Energy, Department of Labor, Department of Defense, Veterans Administration, labor unions and other trade associations on an industry-wide veteran hiring initiative, The Utility Workforce Initiative. Together, these groups are establishing a national employee resource group, Veterans in Energy, which will launch later this year to provide transition, retention and professional development support to military veterans working in the energy industry. At the local level, electric co-ops across America have created their own programs tailored to the unique needs of their community. One of our neighbors to the north, Pennyrile Electric Cooperative in Kentucky printed more than 10,000 “thank you” cards that members signed and were later delivered to troops on active duty in nearby Ft. Campbell. Many electric co-ops sponsor “Honor Flights,” enabling veterans from the Korean conflict and WWII to visit war memorials in Washington, D.C. at no charge. In the small town of Fort Dodge, Kansas, Victory Electric Cooperative partnered with the local VFW to create the “Vittles for Vets” program aimed at stocking the food pantry at the Fort Dodge Soldiers Home. Many of the veterans living there and in surrounding communities are on limited incomes, and the food pantry helps the veterans meet basic needs. Other co-ops forge strong partnerships with the military bases in their service territories. In Wyoming and North Dakota, co-op leaders and staff serve on military-civilian boards and committees that support activities initiated by their respective bases. While the activities may differ, a commitment to supporting and caring for veterans is apparent at every electric co-op across this great nation. 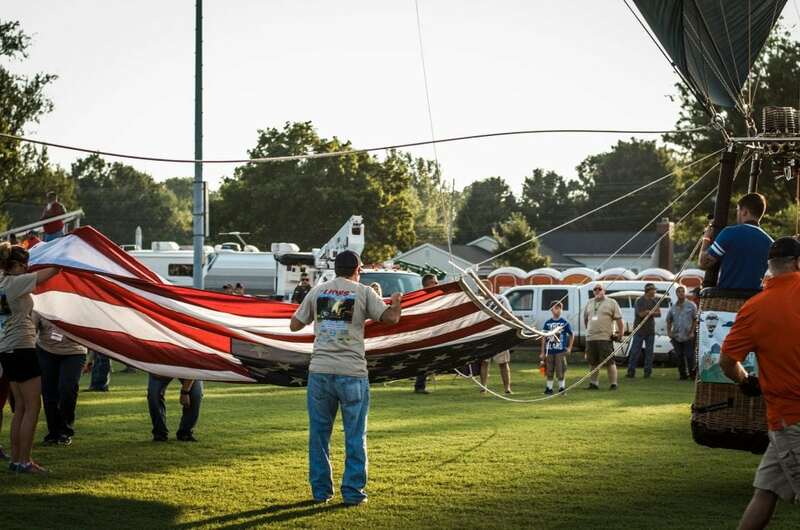 Tennessee’s electric cooperatives are proud to be a part of the cooperative network that honors and supports veterans of all ages, ranks and branches of the military.